It looks like we opened up a can of worms when we reported on the new Marvell home networking chip, which aims to unify the various forms of domestic wiring that can be used for setting up data networks. Atheros, which was acquired by mobile chip giant Qualcomm earlier this year, was clearly waiting to pounce as soon as Marvell went public with its G.hn plans, and contacted us quite soon after our story was published. We subsequently had a phone chat with Purva Rajkotia, product management director at Qualcomm Atheros. We started by saying that a unified wired networking standard seems like a good idea. "It's very good for the industry in theory," said Rajkotia. "However many major chip companies are not on the G.hn bandwagon. It comes with a huge price in terms of cost, price and disruption." 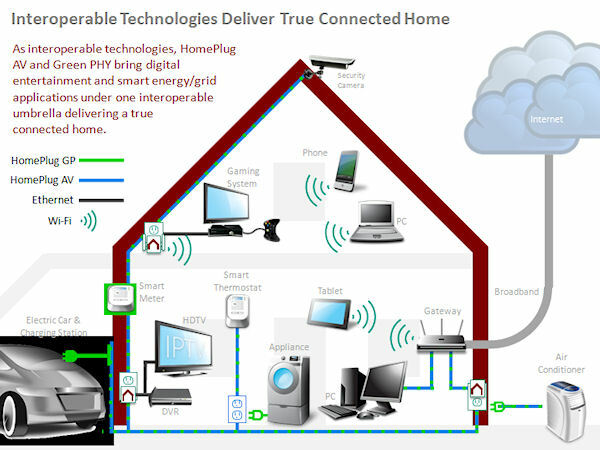 It seems many chip companies, also including the likes of Broadcom and TI, still think it's worth going with HomePlug technology, which is the default standard for powerline networking. A lot of it seems to come down to the age-old convergence versus specialist device argument, and Qualcomm Atheros thinks its better to use specific chips for specific uses. "The market is already established - coax in the US and powerline in Europe - so people will end up paying for silicon they don't use," said Rajkotia. "G.hn technology will not be interoperable with millions of devices based on existing technologies. Also the fundamental characteristics of the different media are quite different." We were also sent a bunch of presentations mostly focusing on countering the claims of G.hn, so Qualcomm Atheros has clearly been at this game for some time. 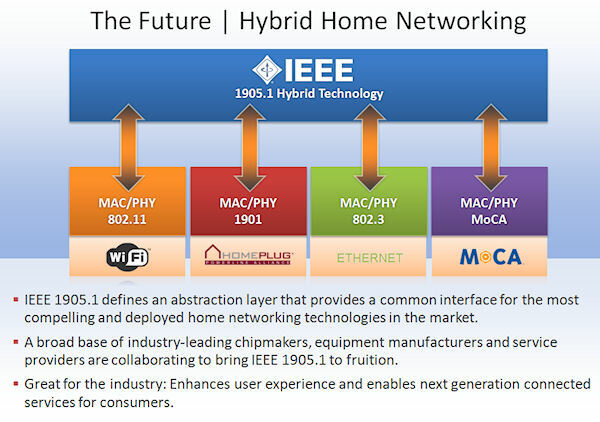 We've reproduced what appear to be the most illustrative ones below, including an IEEE standard that's set to be ratified next year, called 1905.1 that will aim to unify even more networking technologies. Our two stories clearly just scratch the surface of a topic that has occupied the minds of s lot of highly trained people for a long time, so it's impossible for us to form any opinions about the validity of the opposing claims. 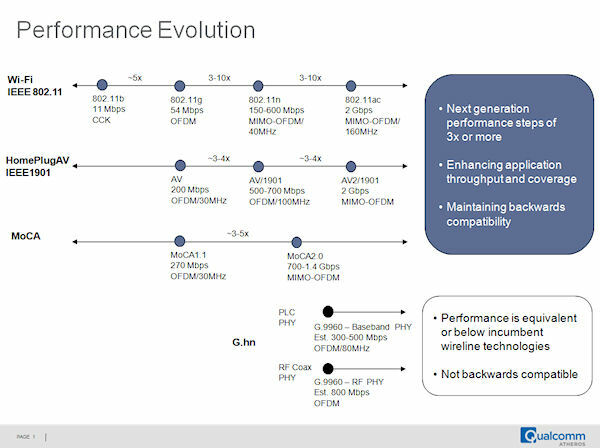 And it should be noted that Qualcomm Atheros does have a specific agenda, having launched a bunch of networking chips - including a powerline one - this week. What does seem to be clear, however, is that we're getting pretty close to the utopian vision of the truly networked digital home.